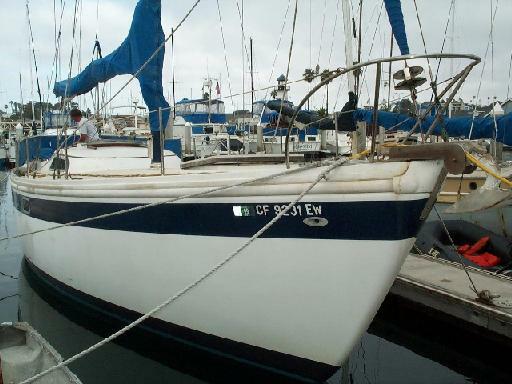 The C39 is made from the C41 mold, with a plug in the transom. 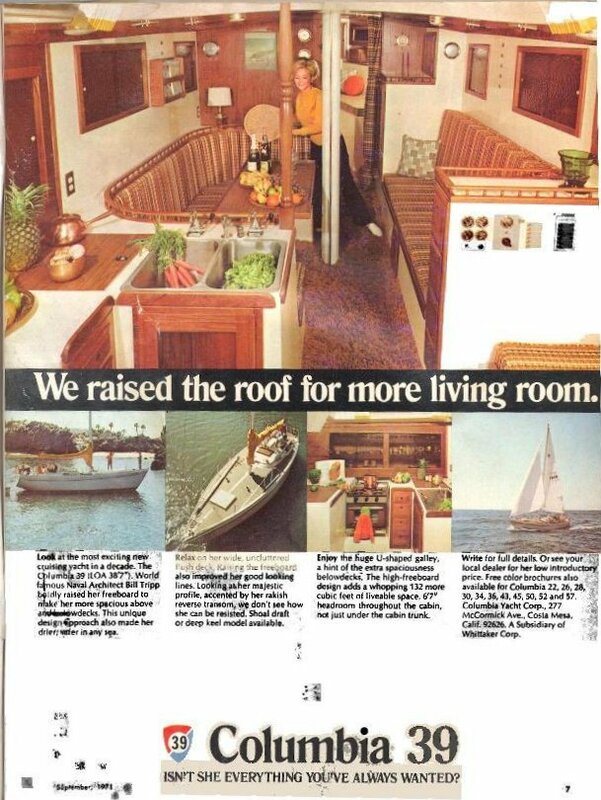 It is a BIG boat inside. There were 43 made from 1970 thru 1971. 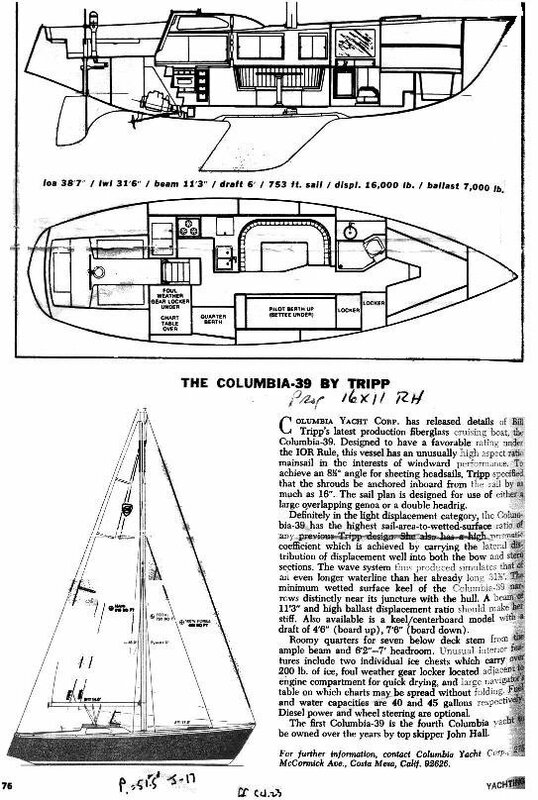 DRAFT     6' 0"     4' 6"/7' 6"
The first Columbia 39 is the fourth Columbia owned by top skipper John Hall. After careful analysis and in-the-water testing, we have determined that the shoal draft boat's performance is superior to that of a centerboard. It is also less expensive, has no mechanical complications, eliminates the leaking and rattling of the board, while still offering a good answer to the shallow draft need." 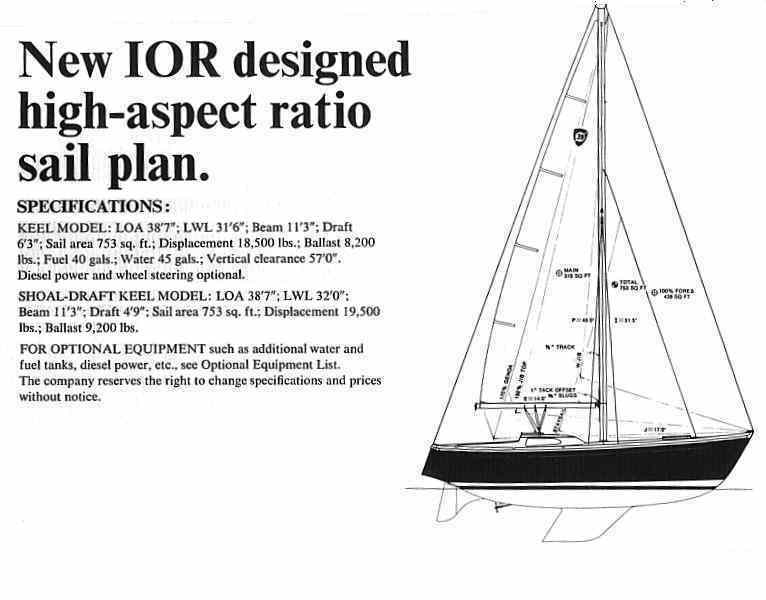 One refers to a "Keel Model" Displacement 16,000 lbs and a "Keel-Centerboard Model" Dsp 17,000 lbs.